From Middle East to Europe in the same trip! 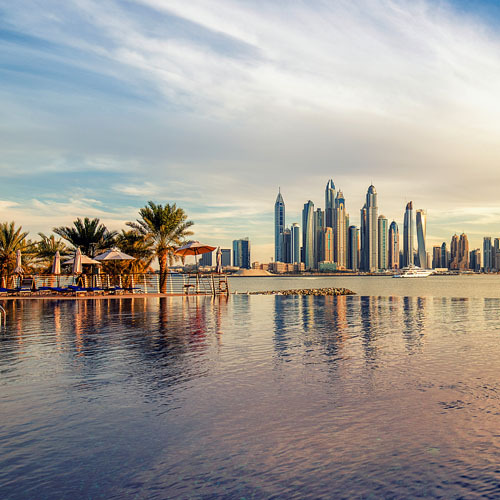 Combine Dubai, a futuristic city mixed with the Middle East charm, and the Old Continent, where you will find from culture and fabulous history to vibrant nightlife, delicious food and charming atmosphere. The Cradle of Western Civilization, the city where democracy was born and one of the world's oldest cities, with its recorded history spanning around 3,400 years. Classical Athens was a centre for the arts, learning and philosophy, home of Plato's Academy and Aristotle's Lyceum. The most important civilization of the ancient world flourished in Athens and relives through some of the world`s most formidable edifices. Athens is home to two UNESCO World Heritage Sites, the Acropolis of Athens and the medieval Daphni Monastery. Luxurious Dubai and the City of gods! 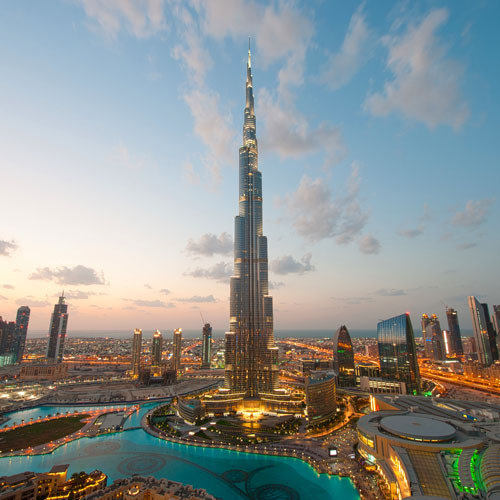 Fly into Dubai and sightsee a myriad of attractions that this city has to offer, go to the Burj Khalifa which is the world's tallest building or take a wander around Bastakia district where you will be able to discover the Dubai of old. Combine this incredible experience and fly into Athens, known as the City of gods, with the most glorious history in the world. 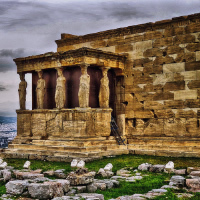 You won't want to miss The Acropolis, one of the most astonishing ancient ruins. 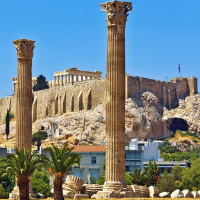 A trip to Athens is not complete without a visit to the impressive Byzantine churches, among other hidden gems are Ancient Agora and Erechtheum, you will also love to visit the Temple of Olympian Zeus and Syntagma Square. This is a truly unforgettable experience. An Unforgettable Journey!! !...Start your trip in Athens, a city that displays the perfect blend between ancient iconic landmarks with cosmopolitan and sophisticated neighborhoods, being the famous Acropolis one of the most visited monuments of this city. Then fly to Istanbul and explore their dazzling Grand Bazaar, which will give you a taste of the real Istanbul experience. This marvelous city will amuse you with their richness in culture, many temples and great shopping and exciting nightlife. Up next fly to Kayseri and start your escorted tour through Cappadocia, with its surreal scenery, wealth of ancient churches and unparalleled opportunities for adventure. Last but not least fly to Cairo and see the world famous Pyramids, visit the capital's medieval markets by Khan El-Khalili, or walk down the Nile promenade, an unforgettable trip indeed! Combine Dubai, Athens and Rome with flights between cities. Surreal Cities of Greece and Turkey!...Start your trip in Athens, a city that displays the perfect blend between ancient iconic landmarks with cosmopolitan and sophisticated neighborhoods, being the famous Acropolis one of the most visited monuments of this city. Then Fly to Istanbul,the largest city of this country, and explore their dazzling Grand Bazaar, which will give you a taste of the real Istanbul experience. This marvelous city will amuse you with their richness in culture, many temples and great shopping and exciting nightlife. Then fly to Kayseri and start your escorted tour through Cappadocia, with its surreal scenery, wealth of ancient churches and unparalleled opportunities for adventure. Then fly back to Istanbul to finish this fantastic trip. Combine Dubai - Istanbul and Athens with flights between cities. Perfect combination of super cities! 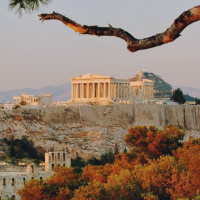 Fly into the marvelous city of Athens, ancient and modern, with equal measures of grunge and grace, bustling Athens is a heady mix of history and edginess. 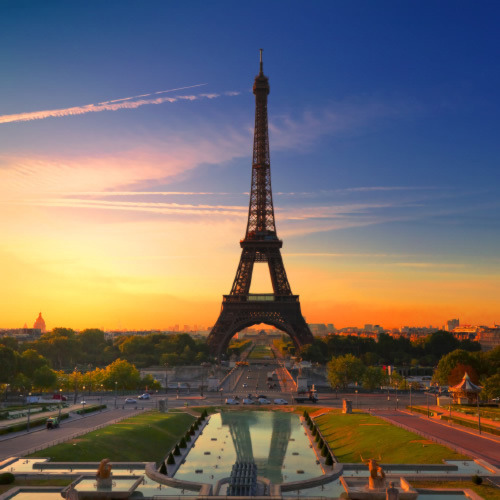 Iconic monuments mingle with first-rate museums. Then explore the marvelous city of Cairo and delve into this vibrant and energetic city, making a stop at some of the many mosques and palaces, or amuse yourself with the magnificent views of the pyramids of Giza, visit the capital's medieval markets by Khan El-Khalili, or walk down the Nile promenade. This is a truly unique experience you won't want to miss. This is a flexible package with daily departures from anywhere in the USA or Canada. Choose your length of stay. Pick your own flights, hotels and activities. Be up front regarding the hotels available in cities because Athens Greece was in a very poor neighborhood. More detailed info about transportation expectations from airport to hotel, including cost and time and alternative methods (Greece).